PHILADELPHIA, March 14, 2019 – The Society of Chemical Industry (SCI), America Group, announced today that Dr. Chad A. Mirkin has won the 2019 SCI Perkin Medal. Dr. Mirkin is the Director of the International Institute for Nanotechnology and the George B. Rathmann Prof. of Chemistry, Prof. of Chemical and Biological Engineering, Prof. of Biomedical Engineering, Prof. of Materials Science & Engineering, and Prof. of Medicine at Northwestern University. This honor recognizes his contributions to nanotechnology and nanochemistry and the commercial products and process that are based upon them, including the invention and development of spherical nucleic acids (SNAs) and myriad nanopatterning methodologies. SCI America Group, launched in 1894, is part of the Society of Chemical Industry’s international organization. It provides a unique networking forum for chemical industry leaders, industrial scientists, and technologists to exchange new business ideas and best practices. It celebrates achievement to promote public awareness of the contributions of industrial chemistry and inspires students to enter technical careers. 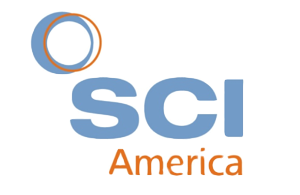 SCI America events are managed by the Science History Institute. The Perkin Medal award dinner will be the final event of Innovation Day, a full day of research collaboration in the molecular sciences held at the Institute in Philadelphia on September 10, 2019. The Science History Institute collects and shares the stories of innovators and of discoveries that shape our lives. The Institute preserves and interprets the history of chemistry, chemical engineering, and the life sciences. Headquartered in Philadelphia, with offices in California and Europe, the Institute houses an archive and a library for historians and researchers, a fellowship program for visiting scholars from around the globe, a community of researchers who examine historical and contemporary issues, an acclaimed museum that is free and open to the public, and a state-of-the-art conference center. The Mirkin Research Group focuses on developing methods for controlling the architecture of molecules and materials on the 1 – 100 nm length scale, understanding their fundamental properties, and utilizing such structures to develop novel tools that can be applied in the areas of chemical and biological sensing, gene regulation, immunomodulation, lithography, catalysis, optics, and energy generation, storage, and conversion. The Mirkin Research Group has pioneered the use of nanoparticle-biomolecule conjugates as synthons in materials science and the development of many nanoparticle-based extra- and intracellular biodiagnostic and therapeutic tools.